No, this is just not a day in the U.S.A. dedicated to having a cookout and gathering with friends & family (even know that is exactly what I was doing today) but a day to remember the U.S. soldiers who have died while in military service. If you are from the U.S.A., please take the time sometime today to think about those who died in the service of this great country. Without their ultimate sacrifice, the freedoms we enjoy today may not be possible. Give a donation to the vets who sell all of those poppies (I have three in my car alone) in your town. Maybe give a veteran or active service man or woman a hug or a just a big “Thank You”. 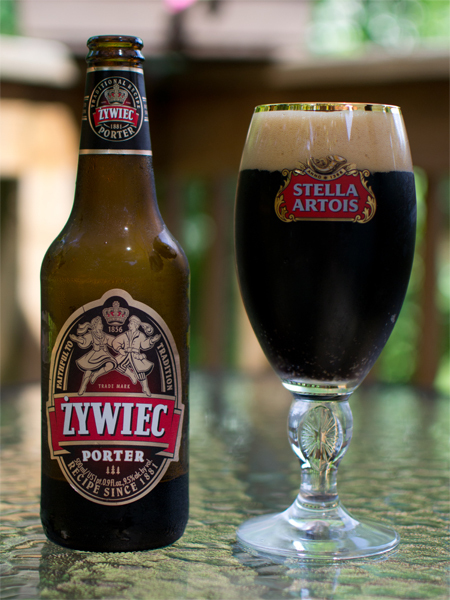 Beer #183 is Zywiec Porter by Zywiec Breweries PLC. For me, this was one and done. Now…off to the cooler to find something a bit better to drink. Happy Memorial Day everyone! Take care of yourselves and be safe! Drink responsibly, have fun, and most of all…remember those who died in the service of this great country I know as the U.S.A.